perception and a deeper exploration of consciousness. will actively open up new gateways to expanded levels of understanding spiritual energy. 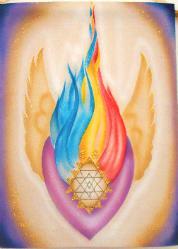 great assistance in finding one’s personal pathway within the ascension process. Shri Yantra = Cities of Light, Manifestation, Abundance. For additional information, please watch the video. Inspiration by St. Germain & Paul the Venetian. select text box and click add to cart. Location = Top of head. Color = violet or clear light. Qualities = spiritual center, Connection to higher self. Location = forehead between eye brows, the minds eye. 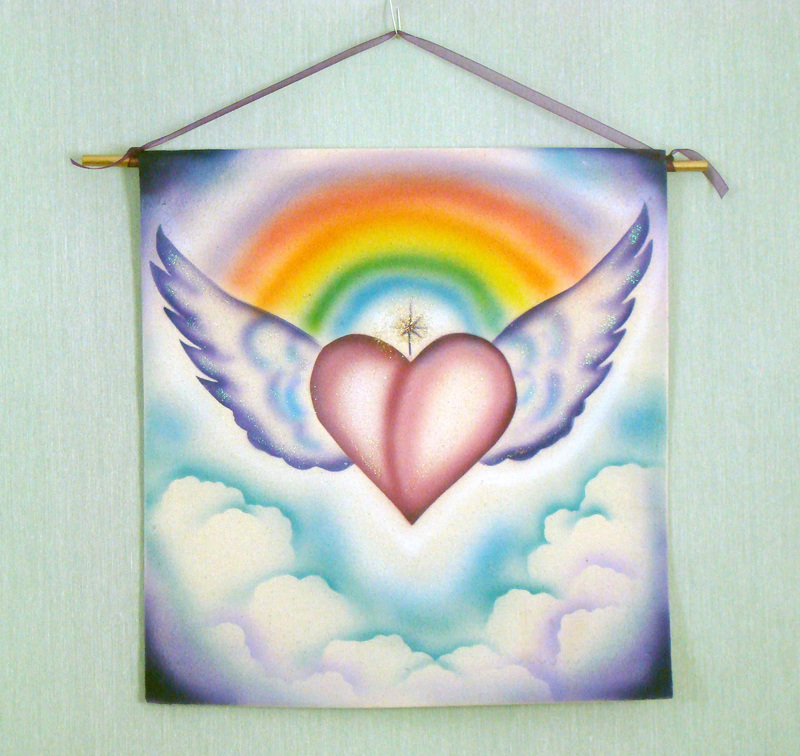 Qualities = intuitive perception, clairvoyance, visualisation. Location = Throat, voice box area. Quality = creative expression, artistic integration. Location = Center of the chest. Qualities = Harmony, Love, Compassion, Balance. Location = Below rip cage. Qualities = Will power, Charisma, Boundaries, vitality.. Qualities = Giving and receiving, Emotion, sexual. Location = Base of spine. Qualities = Survival in material world, resources, shelter. 12/12 inch single Chakras $33.00 each. and click add to cart. They are Available in a variety of styles and sizes. 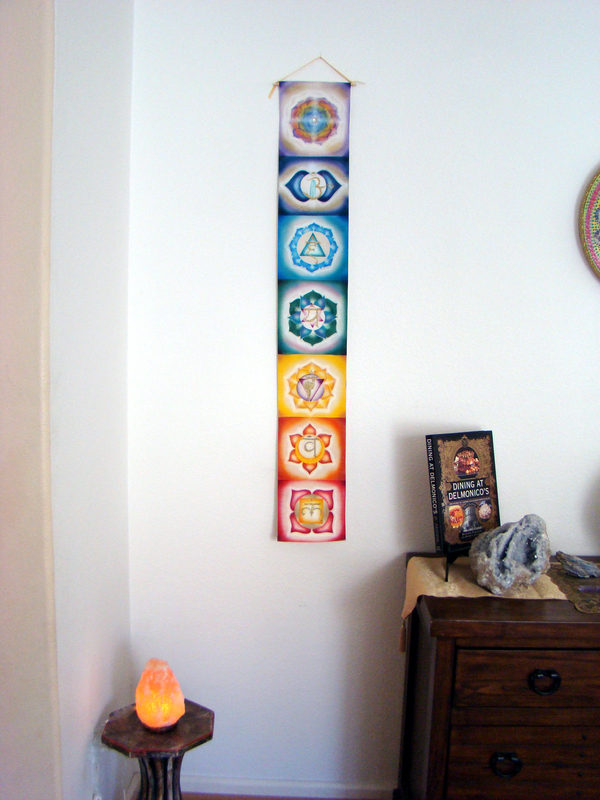 Each Chakra panel carries a unique energy. Ideal for sound therapy and energy healing. Each panel is signed by the artist. Chakra art comes with Instructions and is ready for wall hanging. 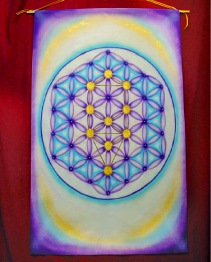 Chakra art is shipping within 6 to 14 days. You will be notified on the day your order is shipped. At this time we only ship in the USA. The Violet Heart Flame (VHF) of the new paradigm. higher ways of perception and a deeper exploration of consciousness. levels of understanding spiritual energy. pathway within the ascension process. 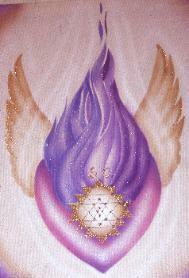 The essence of God expressed through the energy within the Heart.